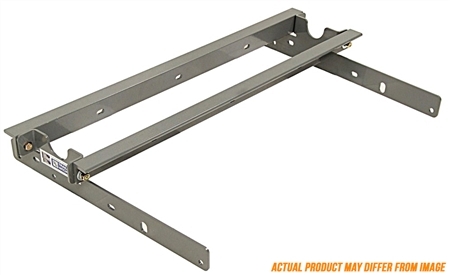 The B&W Trailer Hitches GNRM1308 Turnoverball Mounting Kit Only Dodge 1500/2500/3500 Mega Cab '06 - '13 is a great quality hitch when you need it, and a level bed when you don't. With no welding or bed removal required, this hitch installs easily and completely underneath the bed of the truck. All bolts fit to only existing holes in the frame. The hitch requires only a 4 inch hole in the bed for the ball to come through, and 4 other small holes for hooks on both sides of the hitch. With a 30,000 lb carrying capacity, you will be able to tow just about any trailer including travel trailers. Includes driver side plate, passenger side plate, front crossmember and rear crossmember in this kit.